Nottinghamshire Members and supporters will get an extra chance to see the Club’s stars in action, with Northamptonshire visiting for three days of pre-season cricket between Tuesday 26 and Thursday 28 March. Nottinghamshire and Northamptonshire's players will get some of their first match practice on English soil, with both red and white ball cricket taking place across the three days. 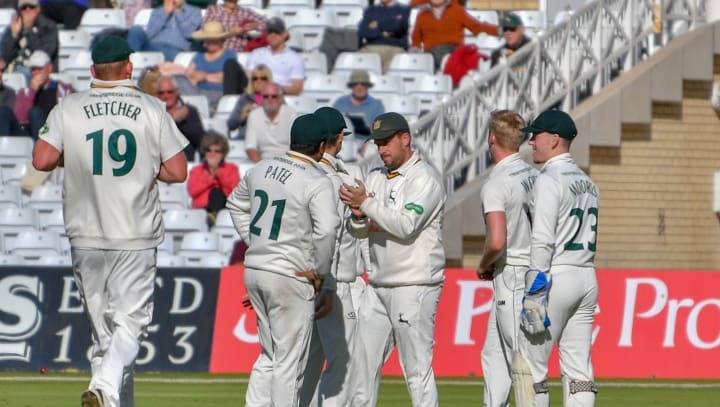 The fixture could act as the first chance for Nottinghamshire supporters to see a raft of new signings play for the Green and Golds, led out for the first time in 2019 by captain Steven Mullaney. “These three days of cricket will be great for acclimatising to English conditions ahead of the first Championship game,” said Head Coach Peter Moores. Entry is free for all supporters, with play likely to run between 11am and 6pm on all three days, with the two sides playing a two-day fixture on the Tuesday and Wednesday, followed by a 50-over contest on Thursday 28 March. Nottinghamshire will then travel to Fenner’s to face familiar pre-season opponents Cambridgeshire MCCU between 31 March and 2 April, before beginning their competitive action with the visit of Yorkshire in the Specsavers County Championship First Division, from Friday 5 April.